1km straight easy - spending time in uneven water - the harbour is too protected. Final week’s swimming - very light as everyone was chasing me out of the pool. 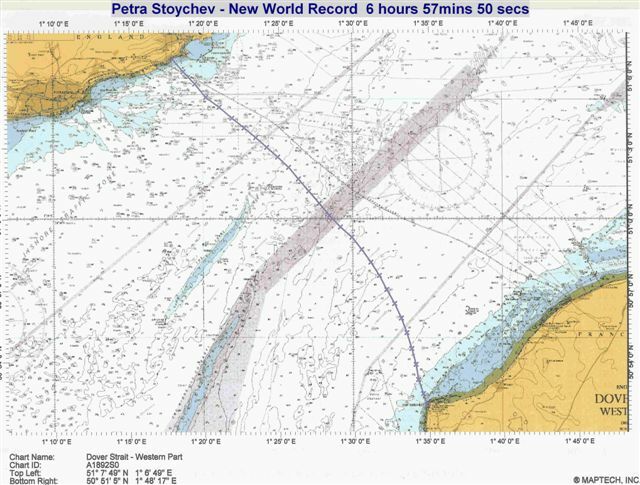 Swimming weather at Dover been good, and some of the world’s top open water swimmers have been posting mid-boggling times, in particular Peter Stoychev from (Bulgaria - 6h57mins - see photo & map below) and Yuriy Kudinov (Russia -7h06mins). 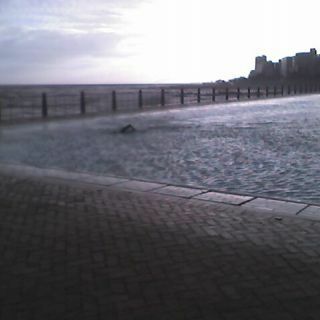 Wrapped up last week of training at home with the usual Sunday 1.6km swim at Camps Bay in 14.5 degree water, and then went accross to the 50m Pavillion pool and did a quick 1 km lapping spot on target tempo of 1min 40 per 100m. That tempo equates to 10h00 for the Channel, which some of the best South African swimmers like Steve Klugman and John Dickerson have done - feed breaks, tides, weather etc all included. Me - I’m just aiming to finish the swim this time. Some sunshine & conditions where I can see a coast - any coast - would be nice! I now know that my watch can count up to 100 laps! I was sick & tired of swimming 1km blocks, so on Saturday I went to the gym & swam 150 x 50m concentrating specifically on technique. Now just one more solid weeks’ training & then can start to taper. Cecilia & I fly to UK middle next week - business class courtesy of a years’ travel miles accumulated mostly by Cecilia. We spend a night in London with our friends Amanda & Mark, and then off down to Dover on Friday morning. The last chart just shows what all the diet supplements can do when training volume drops. No thanks for coach Brian Button for insisting that I get on the scale! My friend Barend Nortje (www.barendnortje.co.za/channelswim.html) left for Dover on the weekend. 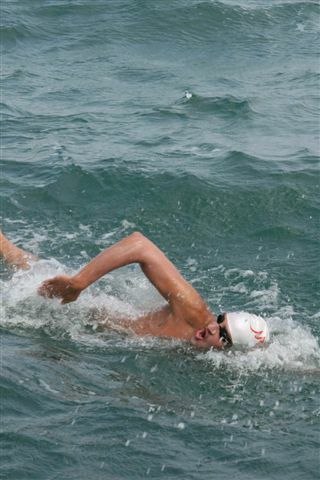 Last year Barend lowered the South African record for swimming the English Channel by an hour to 8 hours 59 seconds. Seconding him will be Dion woodbourne, who has also swum the English Channel (www.hughtucker.co.za/dion/home.htm). I ran into a wall on Monday evening (figuratively - don’t do much real running these days), and so backed right off for the rest of the week. I was due a light week next week, so deceided to take the superundercompensation right now (see comment by Mairi Brimble 2006 07 30). Hopefully I will be able to pick up condition by the end of the week. The month started well, with 60km in the 1st three weeks, but ended with a week overseas & a week with sinusitis on my return. 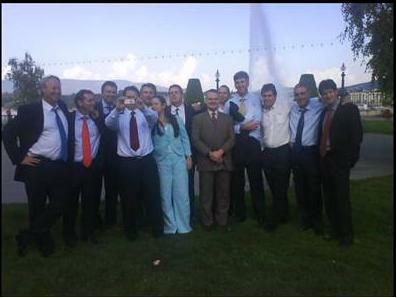 The photo on the right was taken near Lake Geneva (fountain in background) after six South African hedge fund management businesses attended very slick Capital Introduction events in London and Geneva, arranged by Jon Baker and the extremely efficient Credit-Suisse Prime Services team.